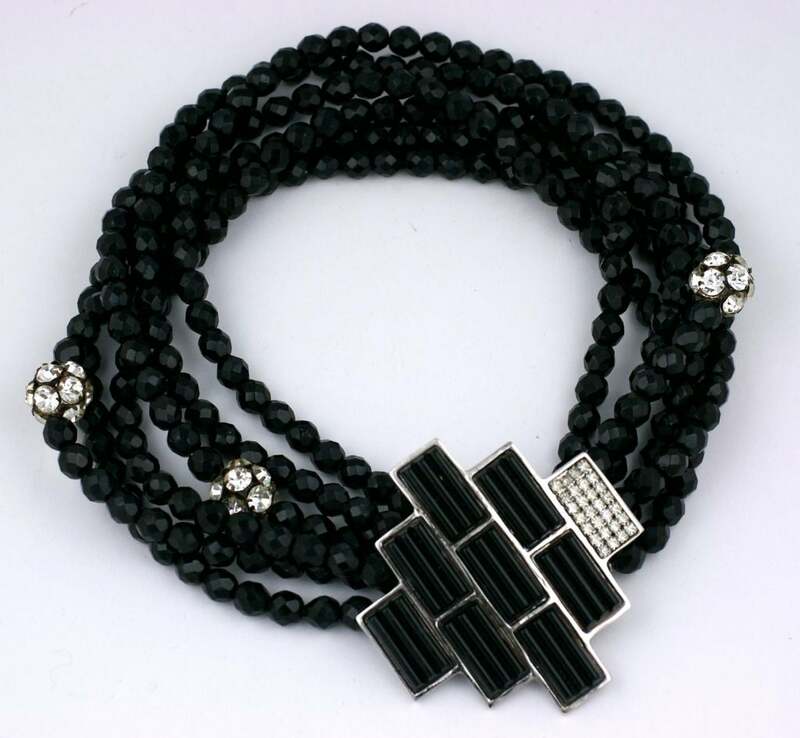 Multiple rows of faceted jet beads with a large statement clasp of crystals and ribbed bakelite inserts. Unusual and striking with crystal and jet enamel clip back earrings. 1980s USA. 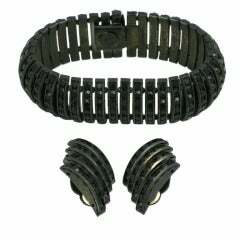 17" length, 2.5" clasp. H 2.5&quot; in. x W 17&quot; in. 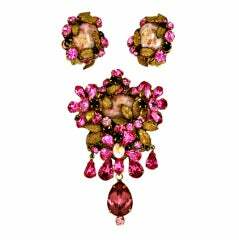 DeMario brooch and earring set of pink crystal flowers interdispersed with gilt metal leaves and Venetian glass cabochon centers. Usa 1950s.<br /> Excellent condition. 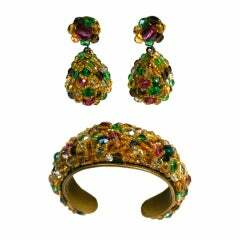 Important Coppola e Toppo ornate crystal wired cuff and pendant earrings in multicolors on a smoky citrine base. Handmade in Italy, 1950's. Excellent condition. 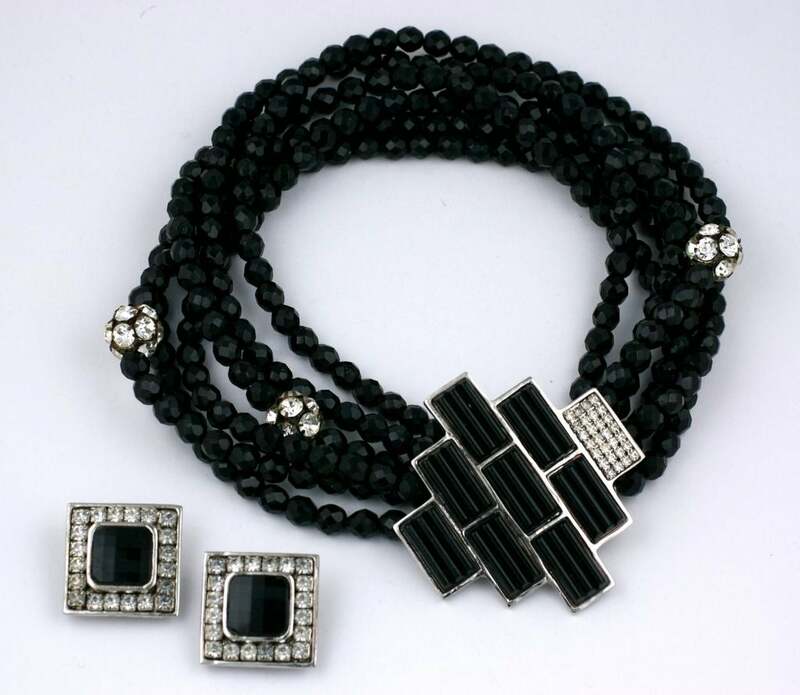 Featuring mixed shape, coloured diamonds weighing approximateéy 46.28 carats in total. 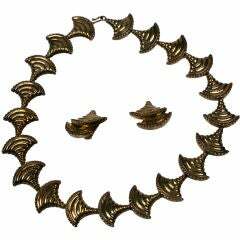 Mounted in 18k white and yellow gold. Signed De Beers.